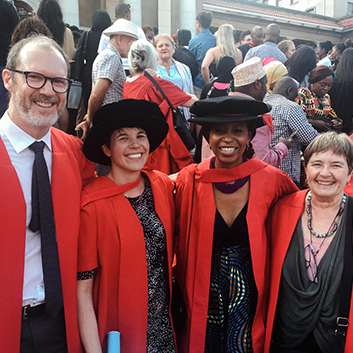 Prof Crick Lund, Dr Erica Breuer, Dr Memory Munodawafa and Prof Marguerite Schneider after the graduation ceremony. The Alan J Flisher Centre for Public Mental Health is proud of its most recent PhD graduates. 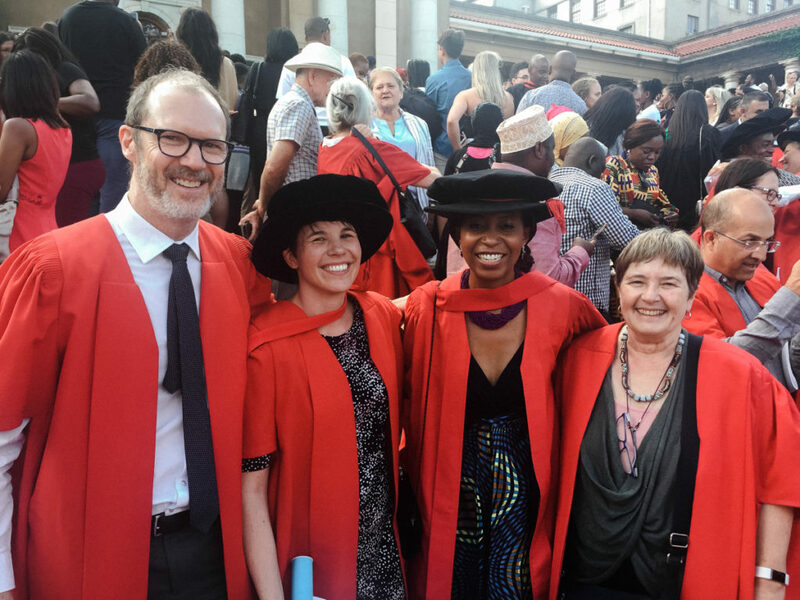 Dr Erica Breuer, Project Manager for the CPMH’s project for Improving Mental Healthcare (PRIME) graduated after focusing on “Using Theory of Change to design and evaluate complex mental health interventions in low and middle-income countries: the case of PRIME”.